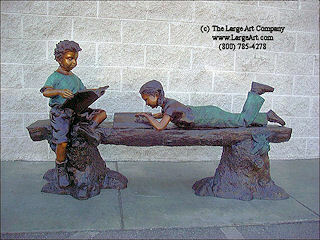 Boy and Girl Reading on a Bench is a sculpture depicting two children relaxing with a good book. This sculpture would look lovely in a library or school setting as well as in your own garden. Measurements: 38" tall by 69" wide and 22" deep.